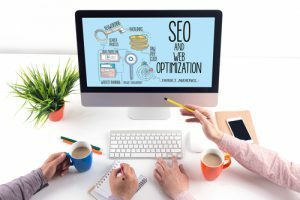 What Role Should Search Engine Optimization Play in Your Website Design? Presenting your company as reliable and skilled in your chosen construction specialties isn’t the only job your website has. It also has to rank well in the search engines so your ideal clients can find you. To do that, it needs to do more than just look good. Search engines only index and rank what they can see, and they don’t see websites the way humans do. They can’t read images or video, they don’t understand Java, and they can’t find webpages that aren’t properly linked. Hiring a professional designer who can write correct code is the first step in getting an optimized design. Correctly formatted HTML and CSS, the languages used to create websites, is easier for the search engines to understand and rank. Messy code doesn’t always make a difference in a site’s appearance, but it will make a big difference to the search engines. All images of your projects should be optimized to load fast and labeled with alt text and descriptions. Full, descriptive captions are a must. If you have a page of images of the hotels you’ve built, describe the location, design features, public areas such as meeting rooms and lounges, construction challenges involved, and anything else your potential clients might be searching for. In addition to good content, logical information architecture is a critical part of your website design. Organizing content in the classic “silo structure,” with main category pages supported by subcategory pages, helps search engines decide what your site is about. Breadcrumb navigation makes it easier for the search engines to understand your site’s structure and find all your pages for indexing. For example, on a commercial construction company site, a navigation path that runs “commercial construction > commercial office construction > Class A office construction” ensures the Class A office page is properly indexed. On individual pages, optimal formatting with headings, subheadings, and anchor tags (jump links) helps the search engines rank your site. Posted on August 30, 2018 Author David MineerCategories NewsTags website designLeave a comment on What Role Should Search Engine Optimization Play in Your Website Design? New clients are great to have, but they aren’t the only way to measure the success of an email campaign. Other, subtler signs also give you clues on how to optimize your campaigns for even better results. After the number of new clients your campaign brings, your conversion rate is your most important metric to measure. This is the percentage of people who received your emails and did what you hoped they would, such as download your free whitepaper or sign up for a strategy session. Most email platforms integrate with common analytics tools, such as Google Analytics, to let you track your conversion rates. Revenue per email, your total revenue divided by the number of emails delivered, is another important consideration. 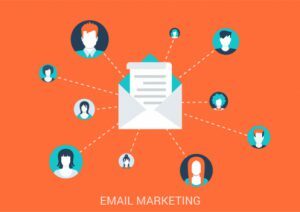 At times, even if your open rates and click-throughs fall, but your revenue per email is up, your campaign is still a success. Maybe you’ve started focusing on luxury homeowners for renovation work, dissuading much of your existing list, but winning more valuable clients. To calculate this number, you’ll need to directly relate new contracts to your email campaigns. What your readers do before reaching your website also tells you how well your emails are performing. One metric to watch here is your open rate. Above 30 percent is perfect and you’re doing well. If it’s lower than 20 percent, you probably need to improve your subject lines or choose topics that are more relevant to your readers. Segmenting your list can help. By putting, for example, your renovation prospects and commercial office construction prospects on separate lists, you can send more relevant, interest-specific emails to both. Next, pay attention to your click-through rate, the percentage of people who click a link to your website. Around 5 percent is average. Your email platform can track these metrics for you. 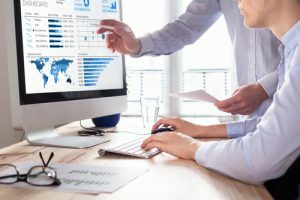 If you’ve already sent out of a few campaigns, reviewing your data for patterns and outliers can help you spot what’s working and what isn’t. With all the work you put into creating and promoting your website content, it only makes sense to keep tabs on how effective that content is. By analyzing your website metrics, you’ll learn exactly how well your site is connecting with your ideal construction prospects. Your website analytics tell you how your audience is reacting to the content you give them so you can see whether or not you’re on track toward bringing in more clients. If you thought your target audience of real estate investors wanted to read about multi-family housing, but your analytics data show they’re more interested in your articles on commercial office buildings, you can adjust your content strategy accordingly. Analytics help guide your promotion efforts, too. Maybe you think your hours of interacting on Facebook should be paying off, but the data tell you most of your prospects are coming from Instagram. With that information, you’ll know to shift your efforts. Focusing on the most informative website metrics helps you optimize your research time. Traffic – This is the raw number of visitors to your site. Watching this number tells you how fast your audience is growing. It helps you spot spikes and dips caused by changes in your content or promotion strategy. Traffic sources – Data on where your visitors are coming from show you how effectively your chosen promotion methods are working. Top pages – Stats on which of your pages get the most visitors tell you what your readers are coming to your site for. If your blog post offering eco-friendly home renovation tips is popular, it’s worth expanding on that topic with more in-depth posts. 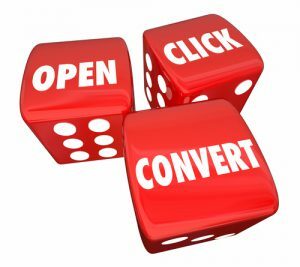 Conversion rate – This is the percentage of people who took a specific action on a page, such as signing up for your mailing list, downloading a free guide or filling out a contact form. It shows you how effective each page is at bringing you leads. The content you publish online helps you attract new construction clients by showcasing your skills and positioning your company as a source of expert guidance. 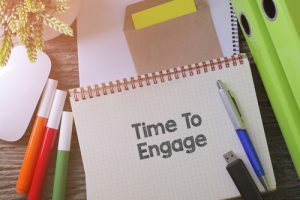 To get the full benefit of content marketing, though, you need a strategy to ensure all your content works together to turn casual browsers into clients. Without a plan in place, it’s all too easy to whip up whatever content you think might interest your target audience. This haphazard approach often leads to a random collection of blog posts that does little to convert clients. With a clear content strategy, you’ll be able to create the exact types of content you need to guide your readers from one stage of the buying cycle to the next. You’ll develop an organized body of content with each piece working together toward a goal. If you build warehouses, you might attract potential clients with introductory content on how to tell when a business needs a new warehouse or what to consider when planning one. This content then leads your readers into the research stage with more in-depth material, such as tips on prioritizing warehouse features. Here you might invite them to join your email list or download a lead magnet. That content, in turn, encourages your readers to contact you about starting their project. 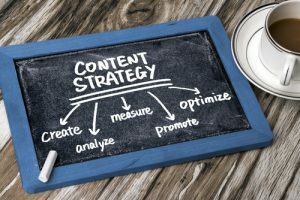 Having a strategy for what to do with newly created content helps you get your work in front of as many potential clients as possible. Your strategy guides you on how and where to share your content to reach your target audience and specific goals. If your content strategy involves offering home renovation inspiration, you might choose Houzz, Facebook, and Instagram for promotion. Then after you publish a blog post, you’ll know to pick an image and caption from the post to share with your social media followers instead of sitting there wondering what to do with your new content. When your would-be clients are considering doing business with you, review sites and social media are often the first places they turn to check your reputation. 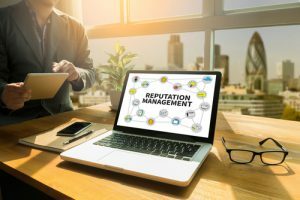 By taking steps to maintain a good social media reputation, you’ll assure your prospects they can trust you with their construction project. Populating your social media accounts with helpful, knowledgeable posts does a lot to establish and maintain your reputation as a skilled expert. Fill in your profile completely with your firm’s specialties, how long you’ve been in business, any awards you’ve won, and other signs of reliability. Use a real person’s photo, rather than a company logo. Then show off your expertise by creating posts that truly benefit your target audience. Share helpful tips, thoughtful insight, trend alerts, news with your own commentary, and valuable resources. Intersperse these with low-key promotional posts such as photos of your finished building projects, thoughts on problems you’ve solved, and quotes from happy clients. By interacting with others on social media, you show anyone visiting your profile that you care enough to offer your help and support. You also give potential clients a sense of your personality. Both these factors create a positive first impression and support your good reputation. Use the search function and hashtags to find posts by people in your target audience and those in complementary businesses, such as building materials suppliers and tradespeople. Then “like,” comment on, and share their posts when you can. Use Google Alerts, Yahoo! Alerts or a similar service to keep tabs on your company name and name of the owner or other representative employees. When someone posts a positive comment about you, show your appreciation. When a complaint arises, respond with a genuine offer to resolve the problem. Even if you can’t please that one unhappy client, you’ll protect your reputation by showing future prospects you made an honest attempt and didn’t ignore the issue. Even when they’re planning the same type of construction project, no two prospects are ever exactly alike. Personalized emails let you speak to each prospects’ specific interests and zero in on the factors that will motivate them to choose your firm. Personalization makes your emails more relevant and useful to your prospects. It shows them you’re listening and understand their needs. You’ll hold their interest longer, build trust, and win their business by proving you can give them exactly what they want. The benefits starts with increased email open rates and continue all the way through to more sales meetings that result in signed contracts. Personalizing the subject lines of your emails helps them stand out from the bland marketing messages that crowd your prospects’ inboxes. When the subject line mentions the type of building project they’ve been planning, a service they’ve expressed interest in or just their name, your prospect is more likely to notice and open that email. Behavior-triggered emails help keep your prospects on their path toward becoming a client. For instance, after a prospect has been browsing a certain category on your site, you might send them an email offering related information and inviting them to get in touch with any questions. Email personalization tools make sending highly individualized emails nearly effortless. Most work by letting you choose criteria for automatically sending a specific email. For example, you might decide to email prospects who viewed a specific page more than twice in one week with a message offering a white paper or a consultation on the topic. These tools also let you collect data on your email readers’ behavior, so you can spot more ways to personalize future emails. If you notice your medical facilities construction prospects spend more time researching than others, you can tailor their emails to reflect that.